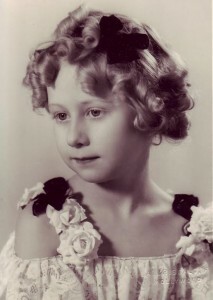 Laurel and Hardywood is excited to announce another Little Rascal – Miss Betsy Gay – will join the Our Gang reunion on Friday, July 4, at the Loews Hollywood Hotel. Betsy is a “new find” for the Sons and will make her Sons of the Desert debut during the convention. 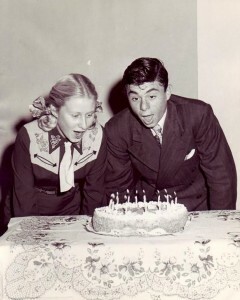 Betsy worked on and off with the Rascals from 1934-38. She appeared in the Marx Brothers’ “At the Circus” and in the film, “Tom Sawyer.” As she got older, her singing talents (mostly Western) landed her on the Jimmy Wakely, Don Ameche and Spade Cooley radio shows. In television, she was a regular on “Town Hall Party” from 1954-56 and “Country America” from 1957-59. She even sang with Andy Clyde in one of his films in 1941. You can go to Hillbilly-Music.com to learn more about Betsy’s career. It is a thrill to have her join in the convention fun.